There are so many choices when it comes to picking an interior design style for your home now. From the simplicity of modern-minimalism to the eclectic attractiveness of industrial and rustic styles, you can now choose anything to emulate in your homes. 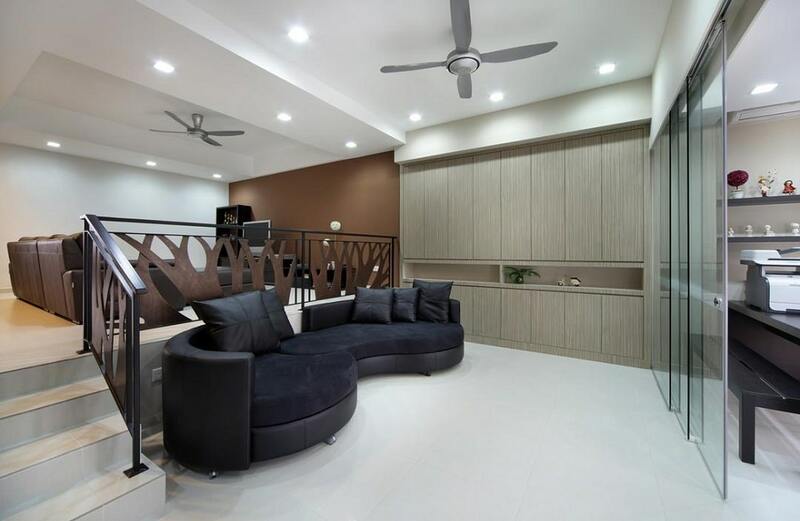 However, it’s not easy to make your abodes look classy while doing so – especially the living room. 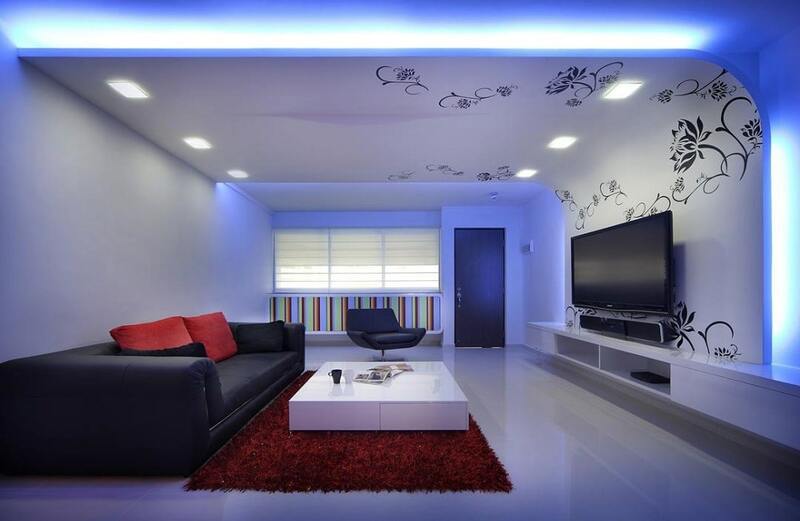 So today, we’ll be featuring 5 living room interior design styles you can choose for your inspiration. The rough, timeworn beauty of the rustic style never shies away from nature, and this stunning living room interior design is a testament to its beauty. The rough exposed brick cladding of the media wall is complemented by the decorative columns and beams that end at the raised platform floor decked out in wooden texture. The gold lighting highlights the natural accents and the overall effect is truly perfect. The contemporary style looks the best when it has been paired off with the sleek, glitzy glamor of the modern style. 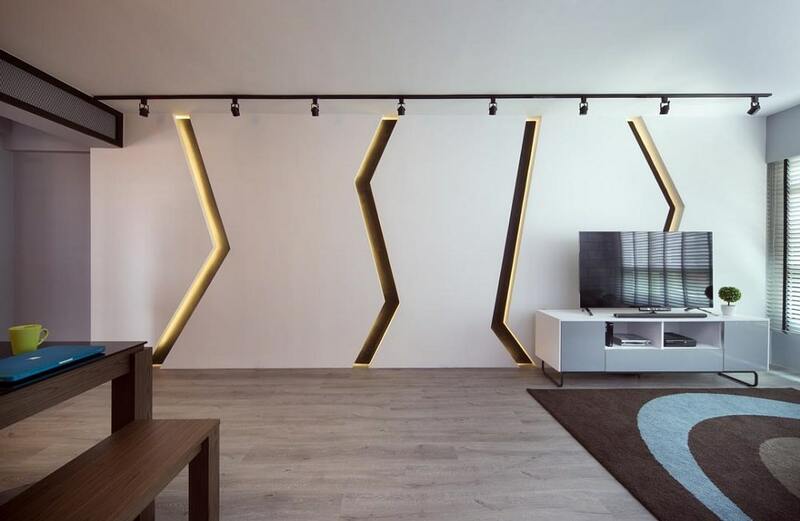 This living room interior design emulates a futuristic contemporary aesthetic that features low-height furniture, stylistic patterns, smooth curves and a holistic design scheme. The way the media wall just merges into the ceiling makes it look like you’re truly living in the future. There are quite a number of ways you can emulate the contemporary aesthetic in your home interiors, and this living room is one of an amazing example. The zigzag lines that make up the feature wall complement the plain white backdrop, and the stark minimalism of the rest of the setting makes the space seem classy, chic, timeless and high-end. This transitional style living room pays a tribute to both modern and vintage visuals with its dichotomy. The understated grey color scheme is offset by the white backdrop. The furniture is an ode to the classic vintage style while the rest of the sleek furniture and accessories pay a tribute to high modernism. 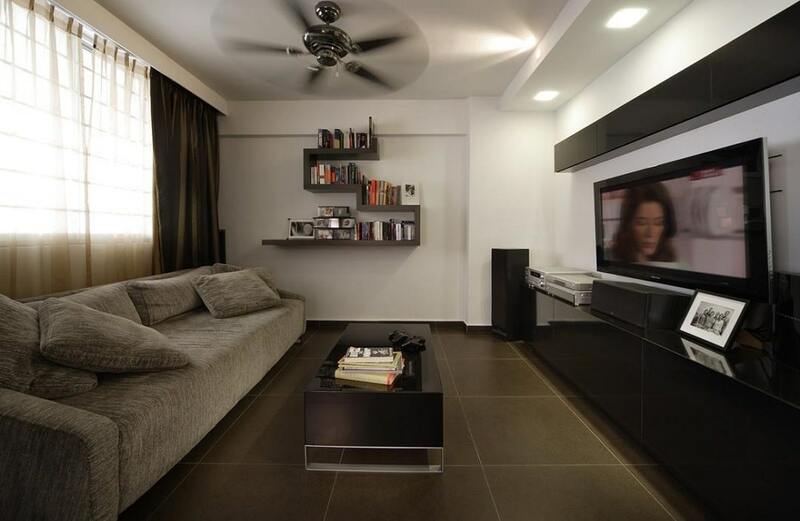 The overall effect is stylish and perfectly suited to the narrow dimensions of the space. 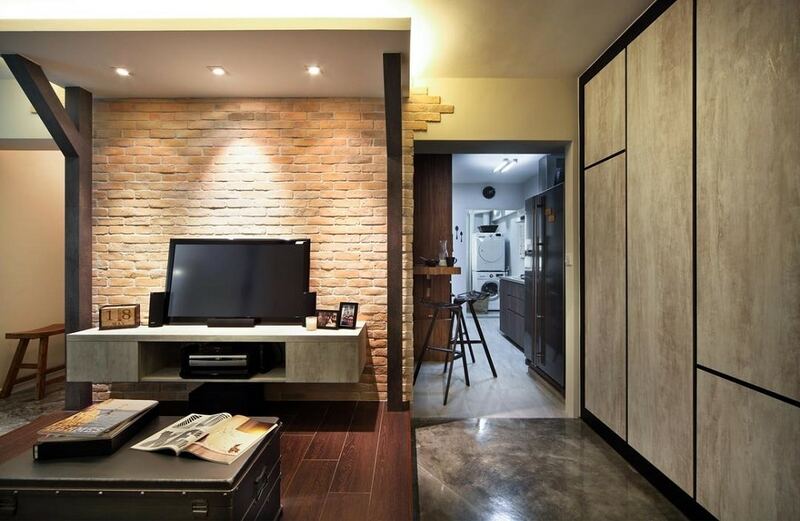 Split level spaces are hard to handle in BTOs as you’d have to get a number of permits from the housing board, but you can easily go for them in a landed property. This living room is a classic example of how luxe such an idea can come off when translated well in a space.